Two plus years new. 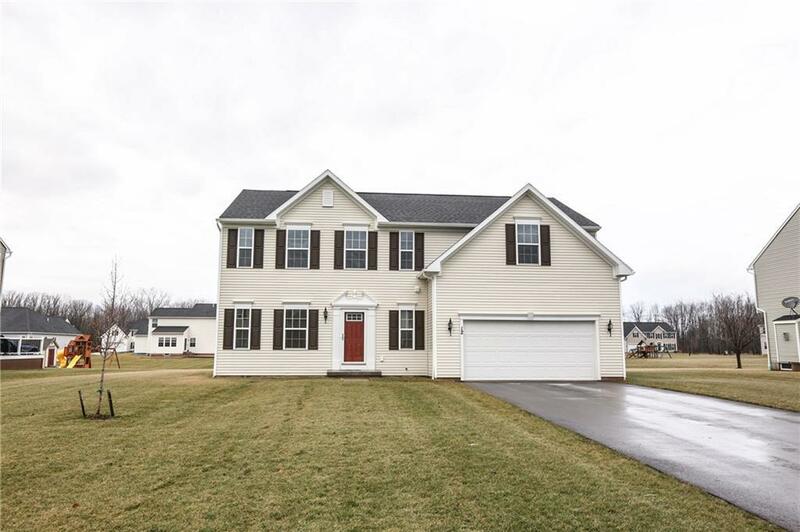 Energy efficient 4 bedroom 2.5 bath colonial with 2632 sq ft. Neutral dcor throughout. Great entertaining in the living/kitchen combo. Office off of the living room. Large bonus room on the second floor, great for rec room or a 5th bedroom. all appliances stay with 2nd floor laundry. Churchville Chili Schools and convenient location to 490 and Chili center.